Browse all Allure condos for sale and real estate in Sarasota, FL below! 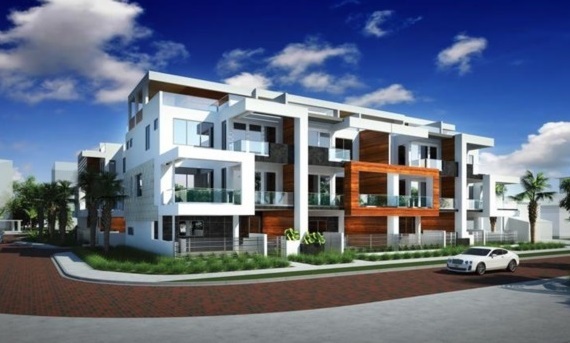 These four story luxury home investments at Sarasota downtown that are currently rocking the real estate world. These buildings are planned to be completed in the year 2017 when their glam will be fully ripe. The buildings are built at Golden Gate Point, a place in Sarasota that brags of high aesthetic value than any other place under the sky. Read more about Allure condos. Included below are condos for sale in Allure, a development in Downtown Sarasota FL. These Allure real estate listings are updated throughout the day. Anybody wishing to live a luxurious life whereby style is the order of the day can have a view at the allure flats plan. The floors, the walls and any other feature that comes in the package of one residence are a wonder. Potential buyers of these condominiums are given a fair copy of the plan. These townhouses in Sarasota utilize the beach area whereby the surrounding environment is scenic and adorable. The first story is designed to come with a three car parking and garage. The other remaining three storys are planned efficiently to ensure that space and usability is achieved in one single shot. The balconies are constructed in way that increases the residents’ ties with the environment and the outside of the buildings. There many things to watch around here and therefore the construction are fitted to support these endeavors. There is a patio in construction, two balconies and not forgetting the roof deck whereby residents can spend some good time overlooking the ocean and the shores. Large windows with double pens, elevators, and high ceilings are the few amenities that won’t escape anyone’s mentioning. Area restaurants, shopping and entertainment are not far from Allure. Music lovers are the most fortunate lot to live here. The Sarasota symphony and opera houses will give all the music needs to individuals in pursuit of good tunes wrapped within sense making lyrics. Another facility that will provide for your outgoing character is the Sarasota orchestra which lies just a few yards from Allure. A day at the beach is always a fun excurision for the family. Fortunately, Allure condos are within minutes of Lido, Longboat and Siesta Key beaches. Golden Gate Point is almost considered to be an island if not for the tiny connection between it the Sarasota mainland.John Ringling Bridge is within walking distance and is a great place to enjoy a bike ride or run. Catching twilight delight from your home is soon going to be better than traveling to the best rated beaches out there.